In college, my friends all decided that my spirit animal was a baby elephant. I’m not really sure what that says about me, but I do think that elephants are cute, so I decided to embrace it. 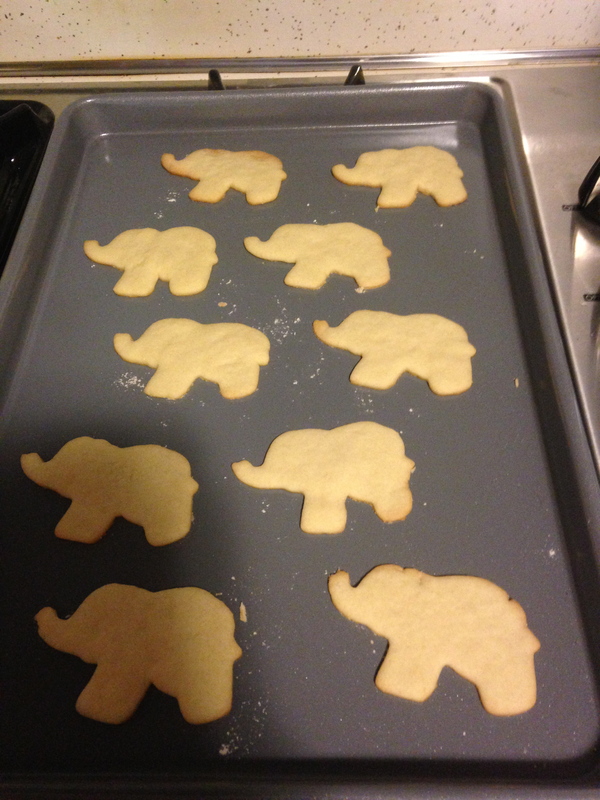 As my inaugural post to SMiLes by Meg, and my first baking adventure in my new apartment, it only seemed fitting that I would make elephant cookies. 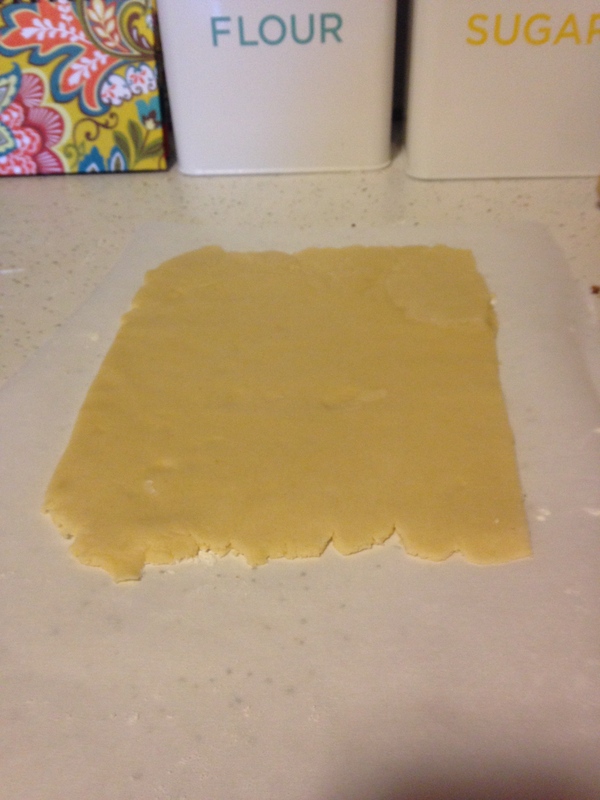 I started with a basic sugar cookie recipe from my mom that I’ve been using for years in my Christmas cookie tins, and cut it in half because really, unless you have some huge event to go to, it can be pretty difficult to give away 4 to 5 dozen sugar cookies, and eating that many cookies in one sitting would probably make you sick. 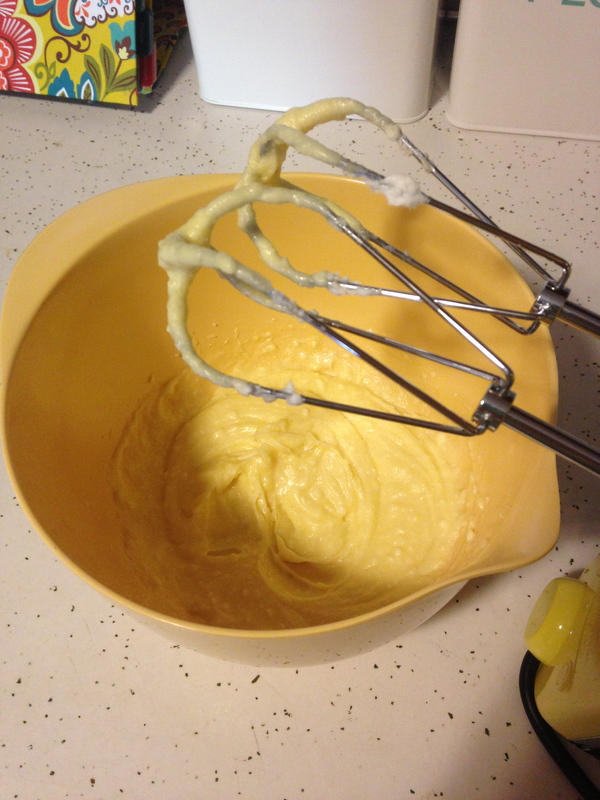 First, cream together the sugar, shortening, egg, and vanilla. To me, that just means mix it until its smooth. 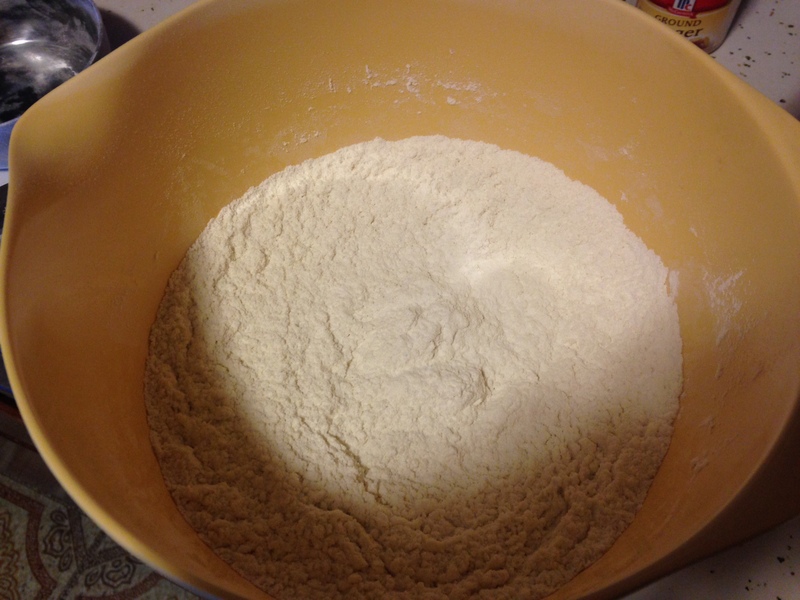 Next, add the flour, baking powder, and salt. I’m always torn about using salt in baking – some say that you need it to enhance the flavor of things, and maybe that’s true, but I’ve never really noticed all that much of a difference when I leave it out, so do what you want. In this batch, i just added a pinch to see what happened. I stuck the dough in the fridge for an hour to chill, but you can also cut the time down if you’re impatient by putting it in the freezer. Or, if you’ve got a lot to do (I had to plan some lessons), you can leave it in the fridge for as long as you like before you roll it out. Chilling it just makes it easier for the cookies to hold their shape. 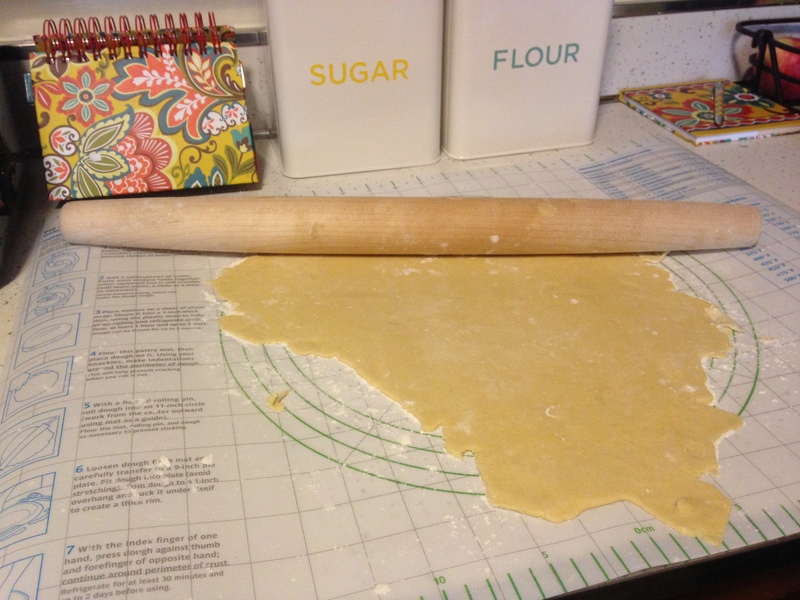 After losing myself in classroom procedures for an hour (super exciting, I know), I rolled out the dough on a floured mat with a floured rolling pin. 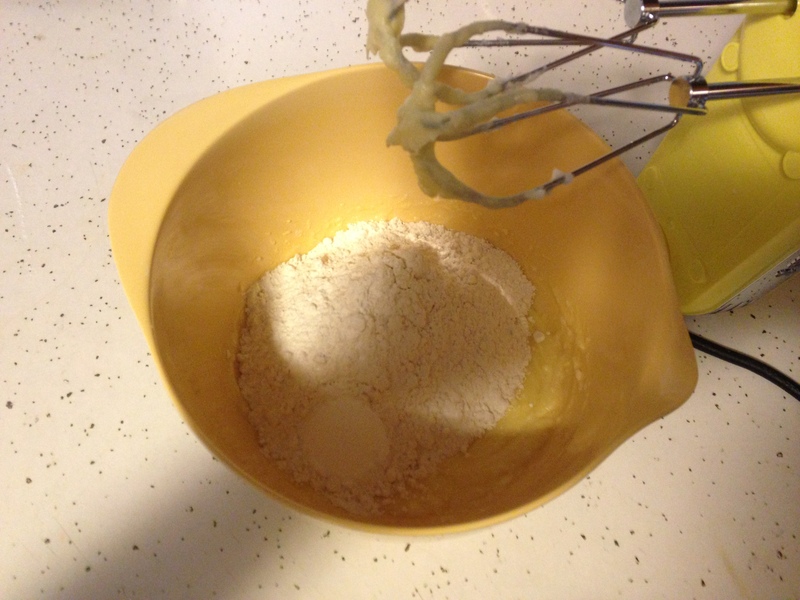 Be generous with the flour, the dough tends to be on the sticky side, so it can take it. I promise it won’t ruin the cookies. Roll it out REALLY thin, like thinner than you think you should, because if its thick, the cookies will become pudgy lil elephants that look more like elephant-shaped clouds. I rolled it out to about 1/8″. 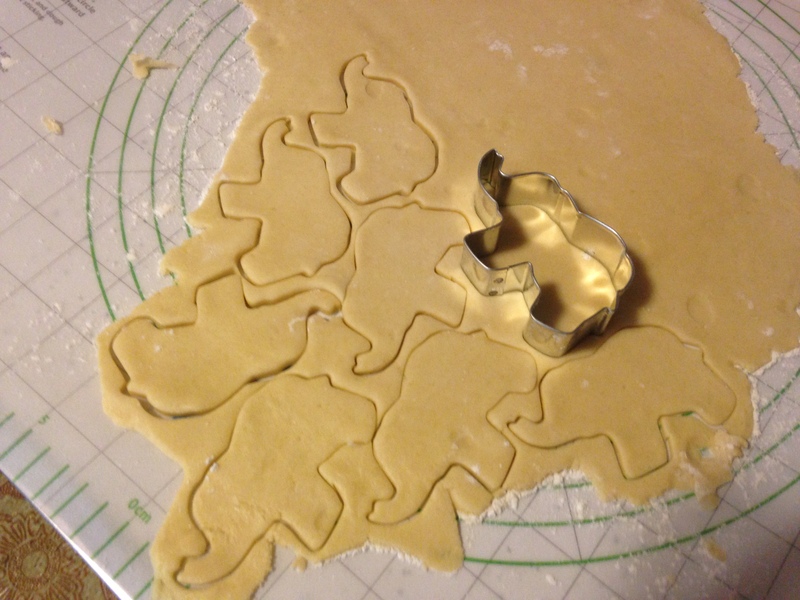 Then, use your cookie cutter to make any shape cookie you choose! 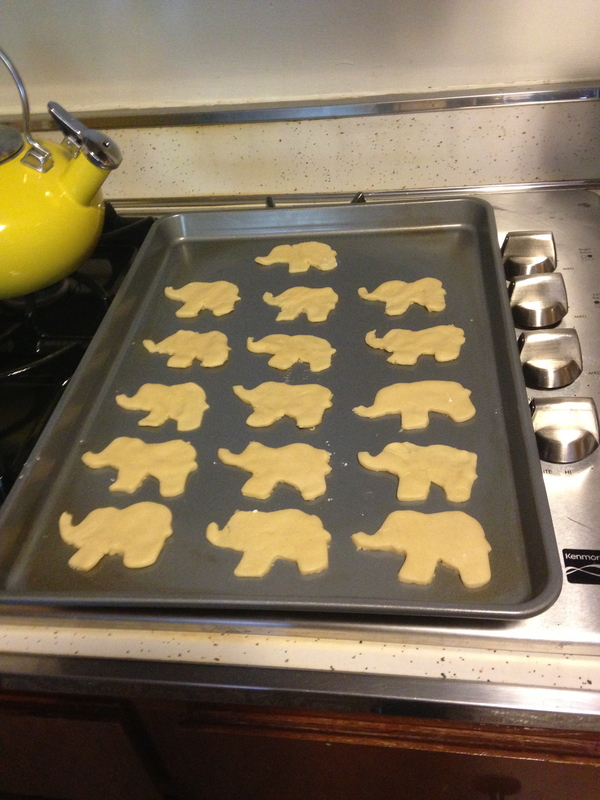 The elephant is actually the only cookie cutter I have at them moment, because why wouldn’t an elephant be the basic shape of all cookies. But if you have another favorite shape, embrace it. Not all of us can be baby elephants. As you can see, I take pride in maximizing the amount of elephants I can fit in. 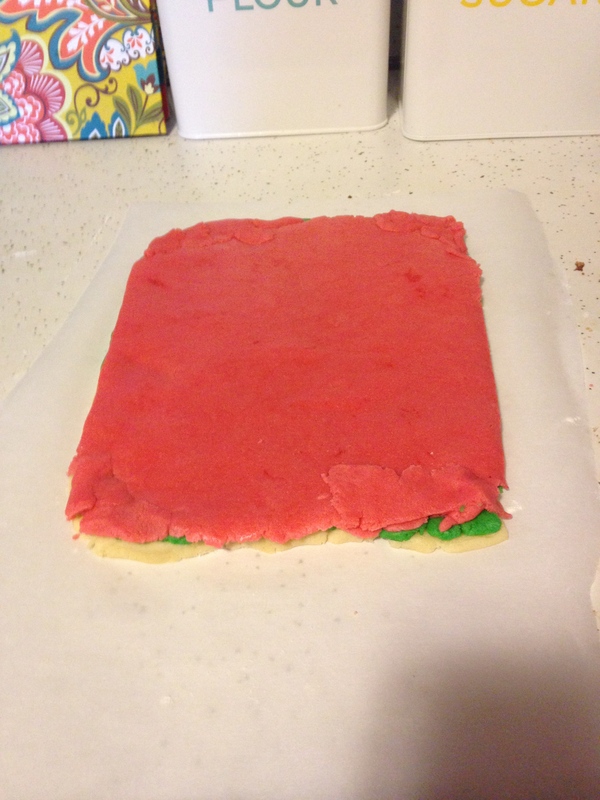 I’ve found that the easiest way to lift the cookies off the mat is to pull away some of the extra dough, dip a flat metal spatula in flour, and try to gently lift them off the mat without losing a trunk or leg anywhere. I also don’t know where I heard this, but I will take up the scraps and re-roll once to make more cookies before declaring the dough unworthy of future cookies. 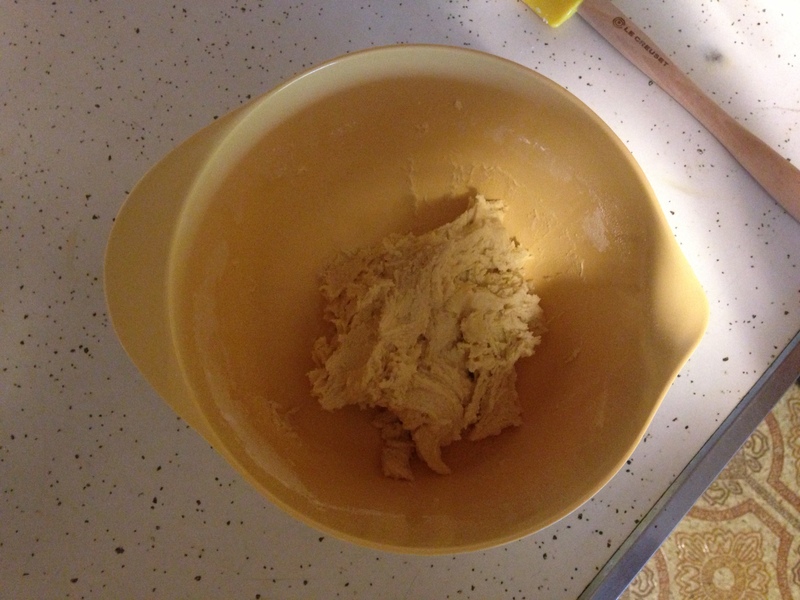 I’m sure you could get more cookies out of the recipe if you wanted to re-roll more than that; the dough might just get a little flakey with all of the flour. Finally, bake the cookies for about 7 minutes at 375°F, or until golden brown at the edges. Because they are so thin, keep an eye on them – they go from golden to burnt crisp faster than you would expect. Let them cool until they are at room temperature, not kinda-warm-still-but-i-really-want-to-decorate temperature, before frosting. 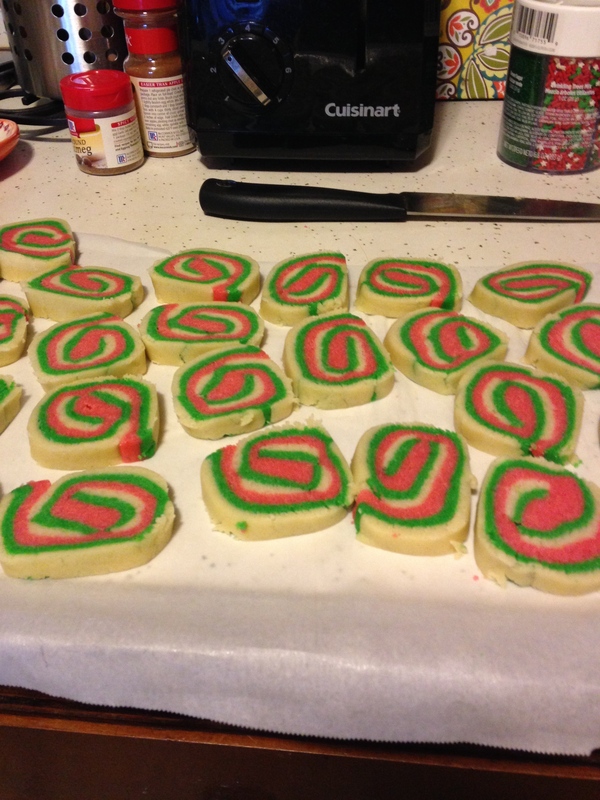 To make myself wait, I usually don’t make the frosting until after the cookies have been baked. To make royal icing, you can use one of two techniques: meringue powder or egg whites. 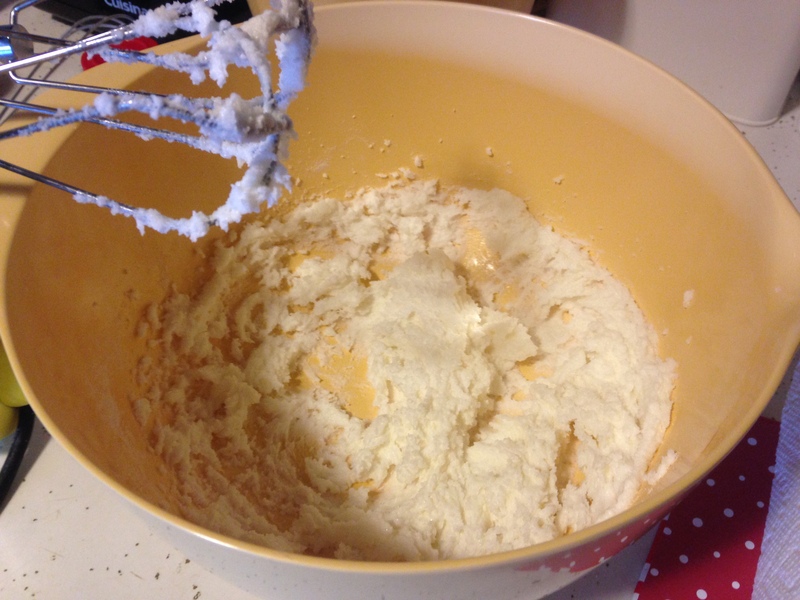 I couldn’t find any meringue powder at the grocery store (Wilton makes it and Michael’s stocks it, but I was being lazy), so I went with egg whites. Two egg whites and a 1 pound box of confectioners sugar mixed with just enough water to make the icing thick enough to stay put but liquidy enough to smooth over after dragging a spatula through it and waiting 5-10 seconds is the consistency you’re aiming for. Really royal icing just takes some trial and error. You can always add more sugar or water. 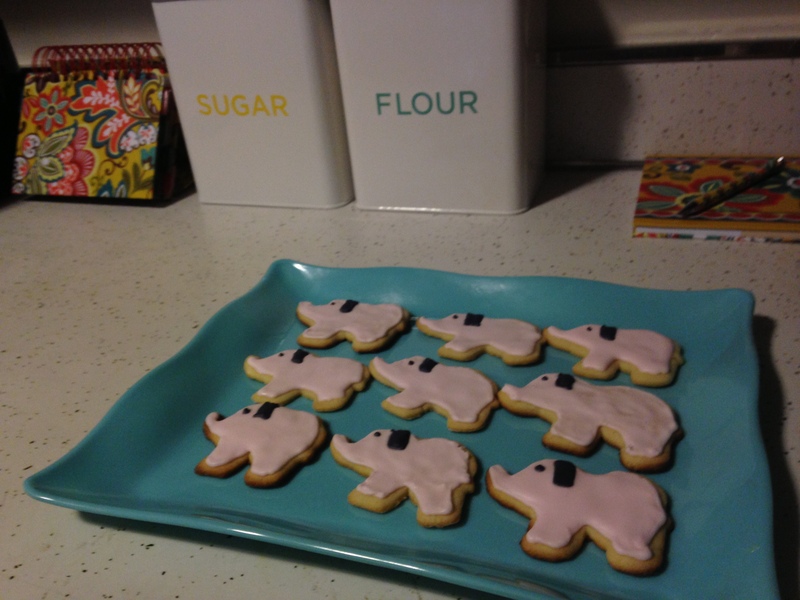 I separated out a little bit to save for details, and added some pink food coloring gel to the base color to make pink elephants. Use gel food coloring – that’s not up for debate. 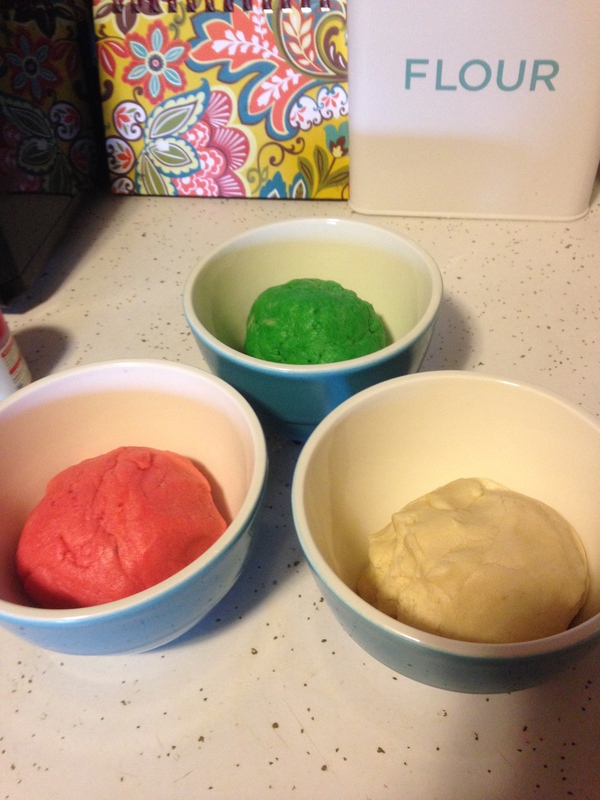 Liquid food coloring will change the consistency, especially of icing, and that will mess with your ability to frost. 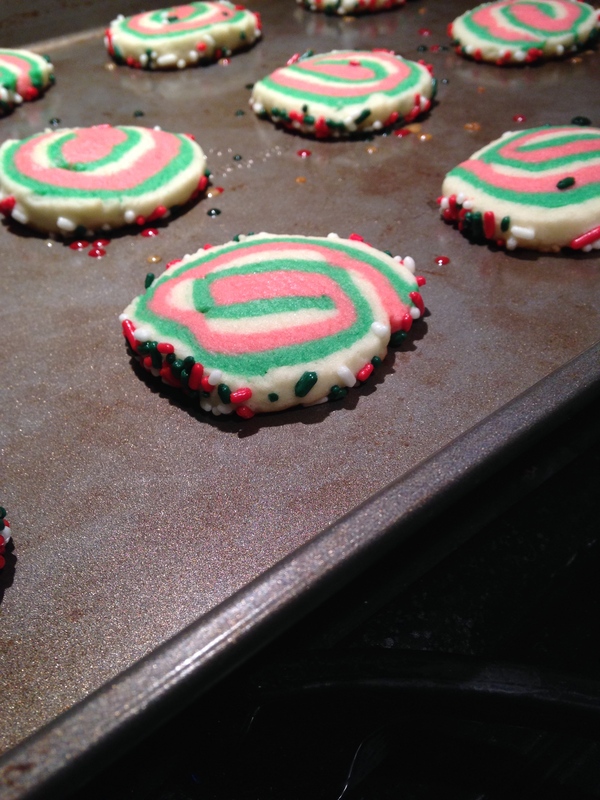 Use a metal spatula to put the icing in a decorating bag with a #3 tip. 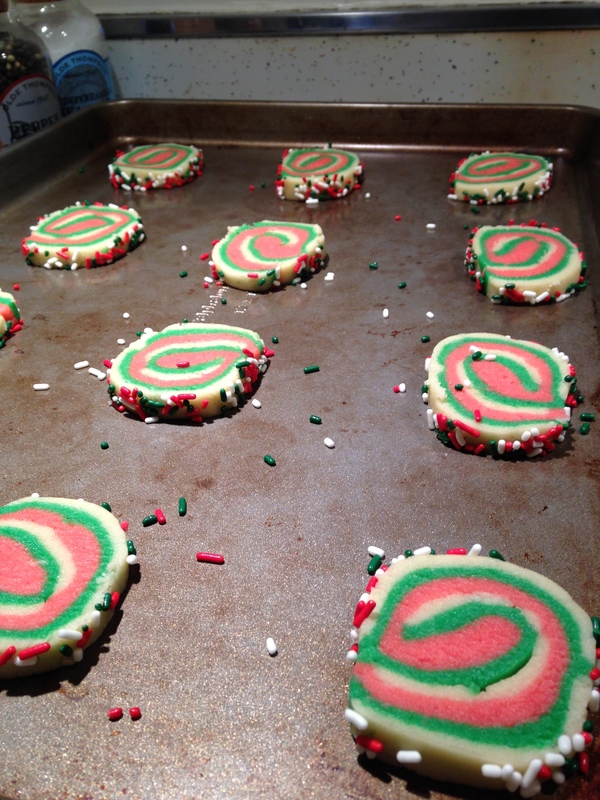 Line the outside of the cookies and then “flood” the center. 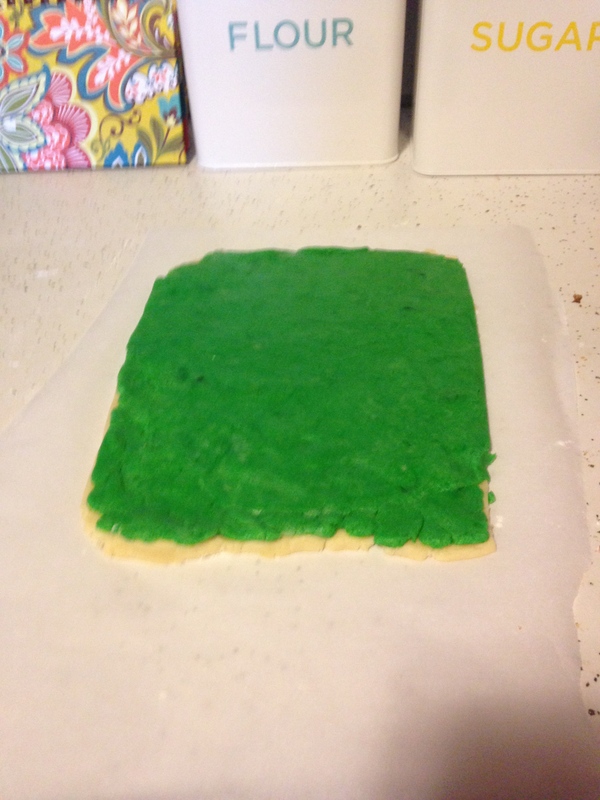 To flood, I just added lots of frosting and smoothed it out to the edges of the outline with a metal spatula so the whole cookie was covered. Let the icing harden before adding details. I’ll say it again: let the icing harden. This took about half an hour with my icing, but depending on how much you use on each cookie and the consistency, it could take longer. If you do not wait, the eyes and ears will sink into the elephant instead of stand out on top. Elephants need some dimension to them, give them time to prepare. 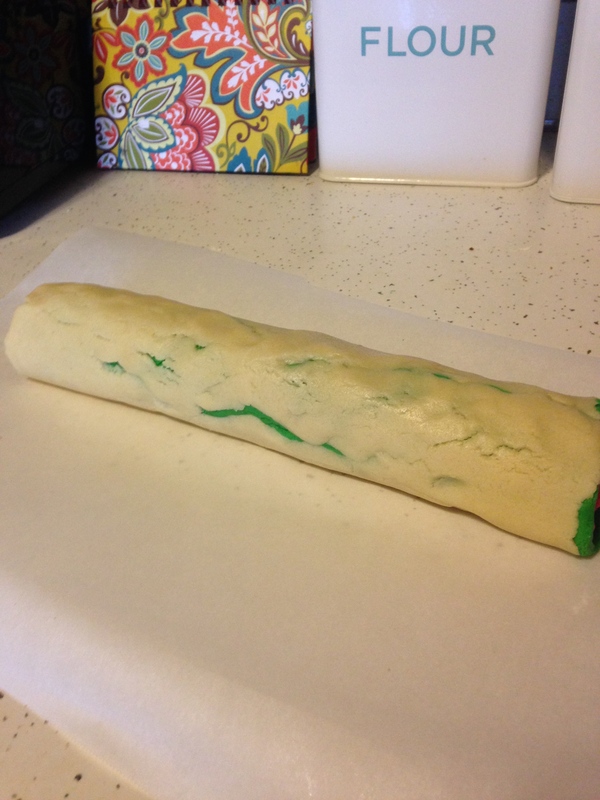 Once they have hardened, use that extra icing you set aside, add some black food coloring gel, and mix it. Whenever dealing with royal icing, make sure it is always covered when not in use. That wonderful hardened look you get on cookies will also happen in the bowl if it is exposed to air. That is less wonderful. Plastic wrap does the trick. 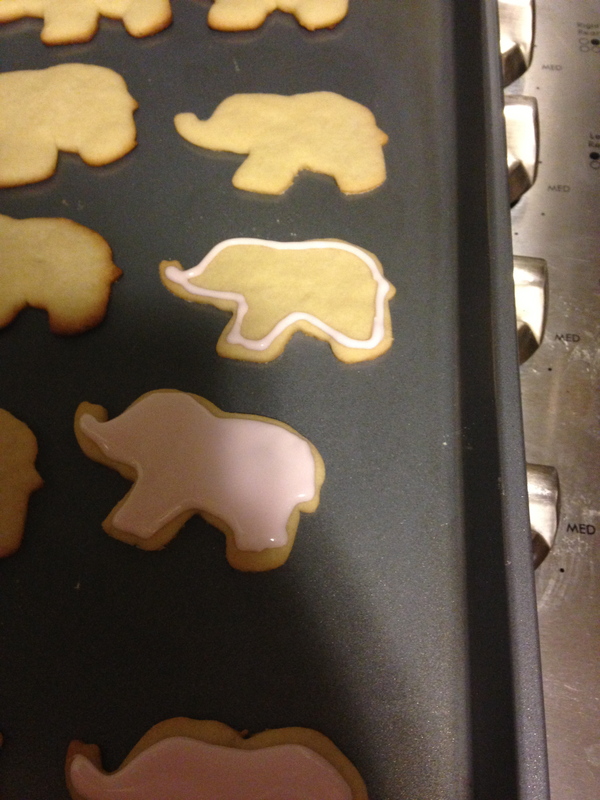 Using a piping bag with a #1 tip, add eyes and ears to your elephants, following the same technique of outline and flood for the ears. Again, let them harden before storing. Voila! 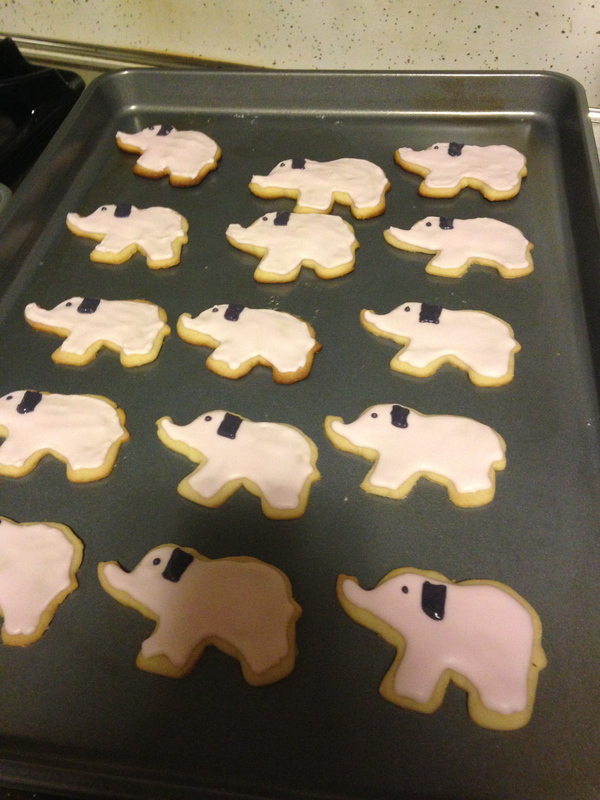 You have lil elephant cookies! They will store nicely in airtight containers, but they will do better if you eat or give them away sooner rather than later. Royal icing has a tendency to melt in the sun, so they are probably not a picnic cookie, but every other occasion works! If you have extra icing, the court is still out on whether it will freeze. I have a bag in the freezer, so I will let you know in a later post how that turns out. Otherwise, you can put it in the fridge for a couple of days, COVERED, and use it again if you want to make more cookies. 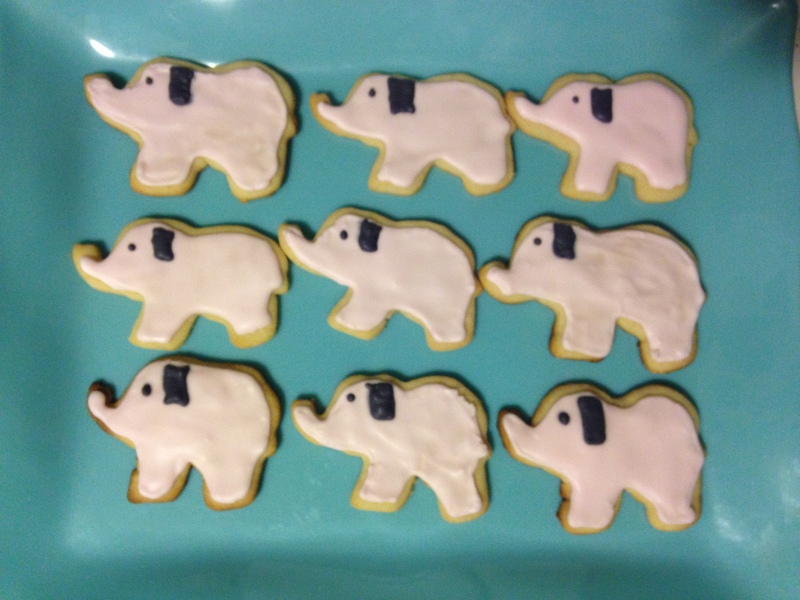 Hope you enjoy your elephants! 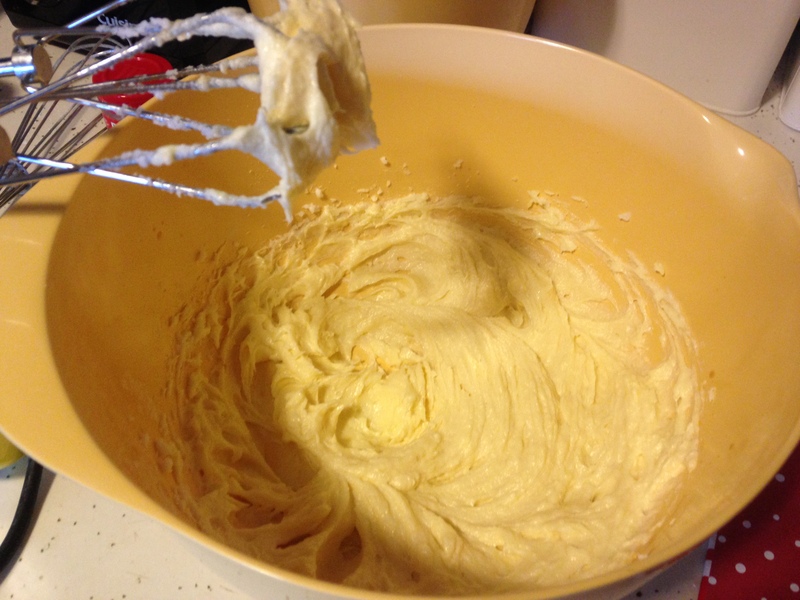 Cream together shortening, sugar, egg, and vanilla until smooth. 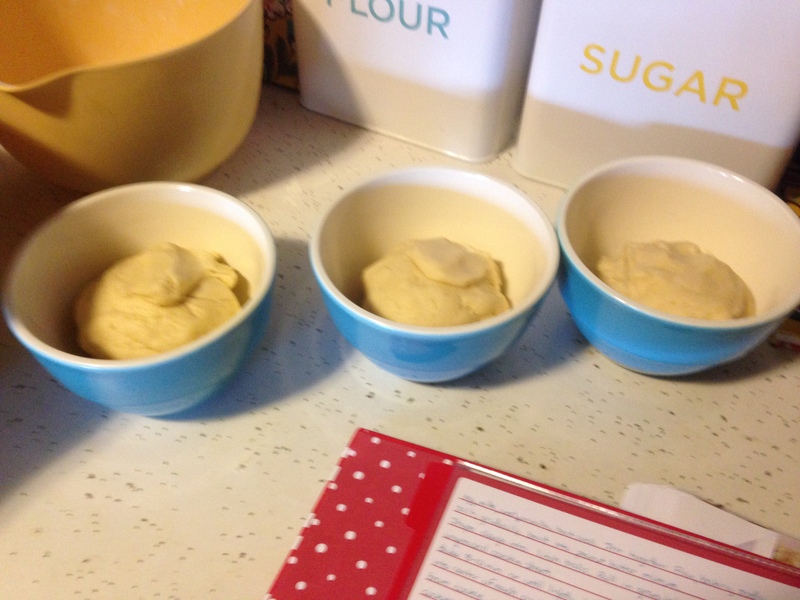 Add flour, baking powder, and salt, mixing until dough pulls away from sides of bowl. Chill, covered, in refrigerator for at least an hour. Roll out on floured mat with floured rolling pin to 1/8″ thick. 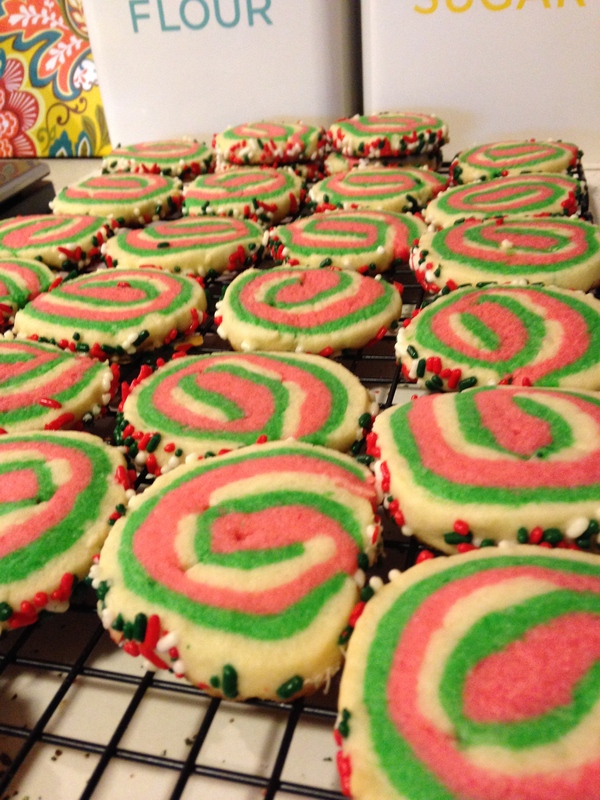 Cut cookies and place on baking sheet. Bake at 375°F for 7 minutes or until golden brown around edges. 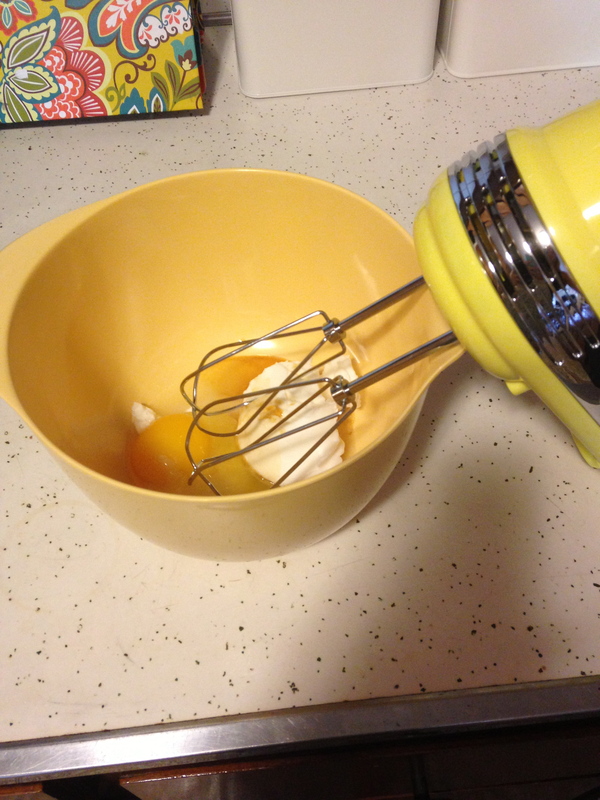 Mix sugar and egg whites. 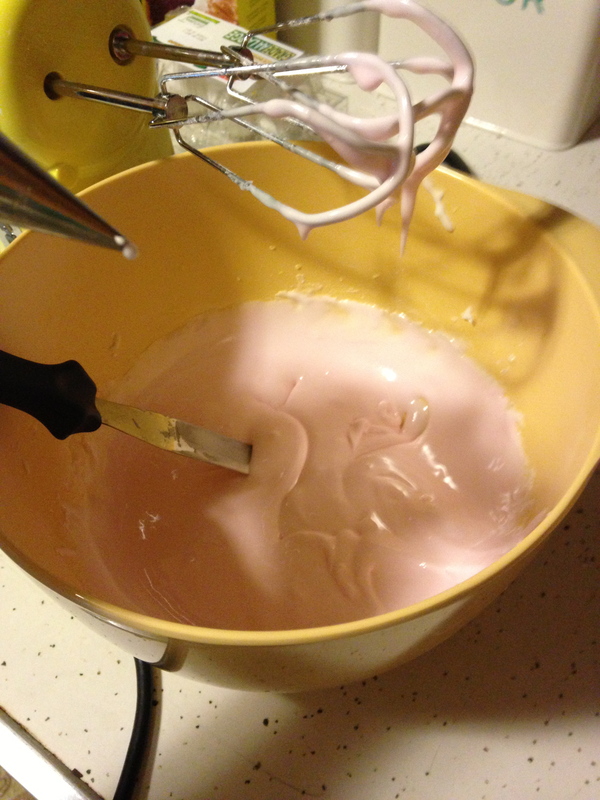 Add water until consistency is such that a line from a spatula remains for about 10 seconds before smoothing over.